If you wish to hearth mount your Riva Studio then the graceful Sorrento presents the perfect solution. 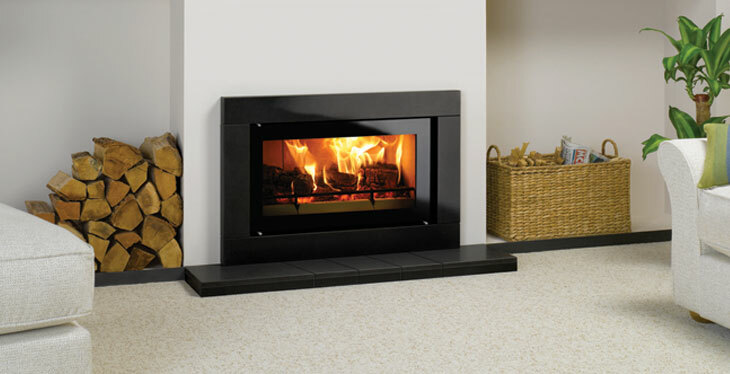 Crafted from either elegant limestone or striking polished black granite, the addition of this surround offers a designer focal point around which to create your own individual decorative style. Available for either the Riva Studio 500, 1 or 2, the solid stone Sorrento is the perfect enhancement to the already impressive Riva Studio fire, ensuring that your fireplace remains at the heart of your home – even when its isn’t burning! The Riva Studio 500 Sorreno is available in Polished Black Granite only and has a matching granite panels on either side of the fire that are recessed from the outer frame.